The Carolina Panthers have a huge matchup against the Pittsburgh Steelers on Thursday night, but this game isn't letting Cam Newton forget the big picture. It's terrible that tragedy has to bring out this message, but it's clear that hatred can not weaken the City of Steel. 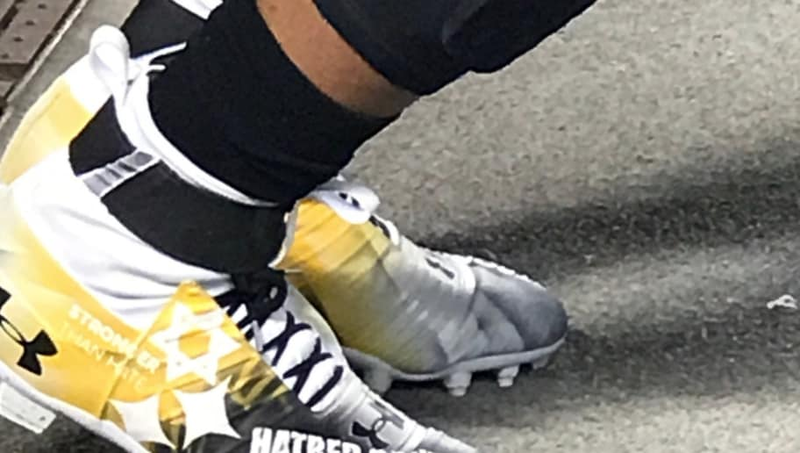 Newton may be an opponent and an away player, but he let the entire city of Pittsburgh know that he stands with them with his custom cleats made to show support following the recent shooting. Here we were thinking Cam giving a birthday gift to a fan was cool and then he goes ahead and raises the bar. You can say what you want about Newton, but this is such a classy move. The Panthers QB is the most recent ​member of the sports world to show their support for Pittsburgh following these unnecessary and violent acts. It goes a long way for a competitor like this to acknowledge that there are things going on that are much bigger than sports. ​​Steelers nation may not be thrilled with Newton if he takes them down tonight, but the former MVP shouldn't, and won't, hear a single boo from the crowd tonight.